I recently said that while Geoff has his thing that he spends money on (plants), I have mine, and that thing is baby carriers. I never thought I would get... addicted (?) to them, but I kind of am! I have already written about how I find them absolutely essential in the city (or otherwise! ), but I also love having different styles on hand to suit my mood, or the situation. 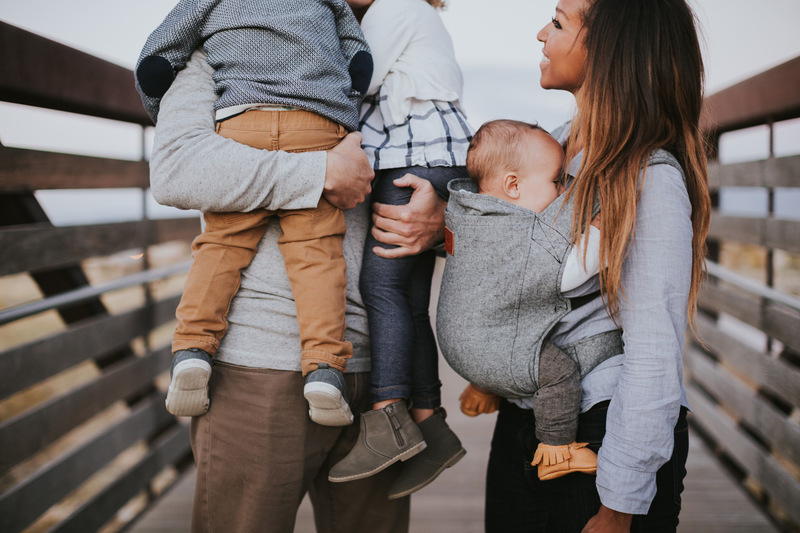 Shortly around the holidays, Happy Baby released their linen soft structured carriers, and it was love at first sight for me. I was able to take advantage of an amazing Black Friday deal to try out the carrier in Charcoal, although I later couldn’t resist the carrier in Flax as well (a classic natural neutral). Linen is one of my absolute favourite fabrics ever, so this was very exciting. 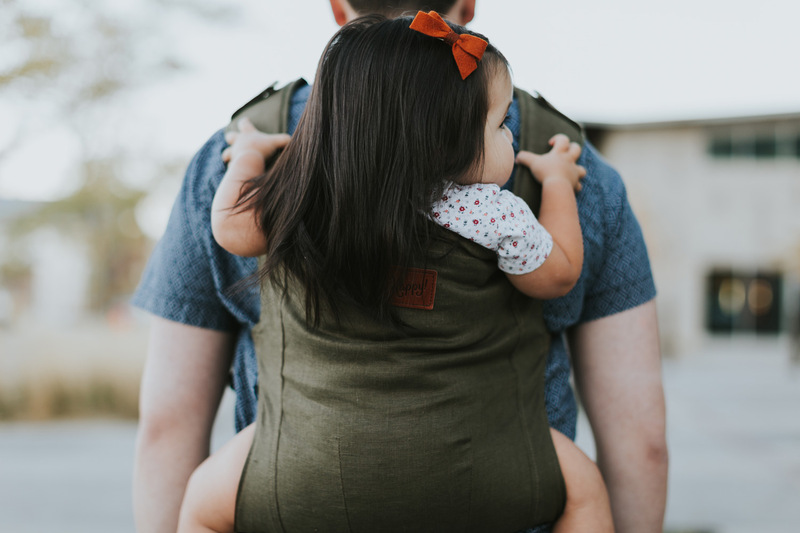 What I love about this carrier is that it is so minimal in appearance but also in design; you can carry an infant in it without an insert, and there is a small hood that is tucked away in a pocket at the front. It’s incredibly lightweight, and because it’s made of linen, it will soften up with time. It is really unlike any other carrier I have tried! It can be used from newborn to 45 pounds. Luca is about 17 pounds at the moment and I carried him around the Royal Botanical Gardens for about an hour with no pain (and I am prone to back pain). I feel like it is definitely one of the more stylish carriers around (when so many of them can look a little... granola), and it comes in so many amazing colours. I don’t need another but I have been admiring that marigold for ages! They’re also handmade in the USA, which is nice, and they have AMAZING customer service. The images below are from Happy Baby. Ooh I just love that Charcoal! I love the design of this one! I loved our Solly Baby Wrap, but Saga has gotten too heavy (around 19 lbs too, actually!) to carry in it and I want to get something more like this. Thanks!